notes: Our Teak outdoor furniture, provides an elegant casual dining experience on the patio or in the garden, combined with the beauty, quality, and special attributes of teak wood. 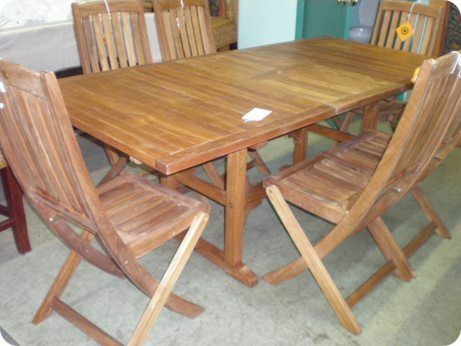 All our Teak patio furniture is imported from Bali, Indonesia. 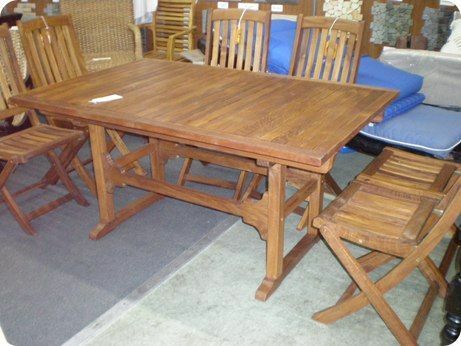 This teak dining table expands. 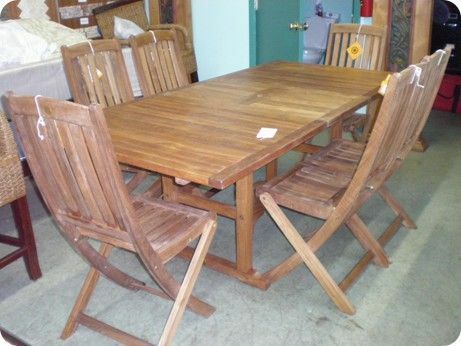 Our teak furniture can be custom ordered.